Stabila 70-2 Spirit Level 1200mm Features Length 1200mm / 48in. A light metal extru.. Length 600mm -24in. Type Stabila 96-2. Professional quality spirit level. 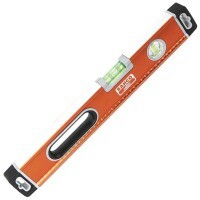 E..
Stabila 70-2 Spirit Level Features Length 400mm / 16in. 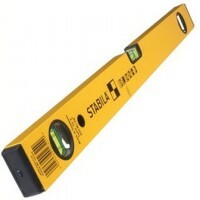 A light metal extruded box ..
Stabila 70-2 Spirit Level Features Length 800mm / 32in. A light metal extruded box ..
Stabila 70-2 Spirit Level 1000mm Features Length 1000mm / 40in. A light metal extru.. 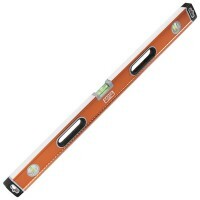 Length 400mm -16in. Type Stabila 96-2. Professional quality spirit level. 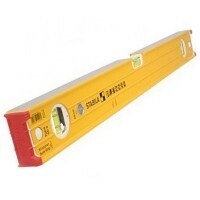 E..
Stabila 70-2 Spirit Level 900mm Features Length 900mm / 36in. A light metal extrude.. Length: 1.2 metre - 48 inch. Accuracy: 0.5mm per metre. Laser marked measuring sc..
Stabila 70-2 Spirit Level Features Length 600mm / 24in. A light metal extruded box .. Length 800mm -32in. Type Stabila 96-2. Professional quality spirit level. E.. Length: 1 metre - 40 inch. Accuracy: 0.5mm per metre. 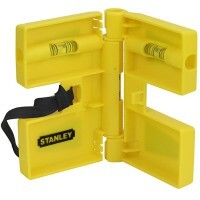 Laser marked measuring scal..
Stanley Adjustable Post Level Features Built-in magnets for use on metal posts and surfac..